For those of you who are vegan or avoiding dairy, but missing your whipped cream, here it is! 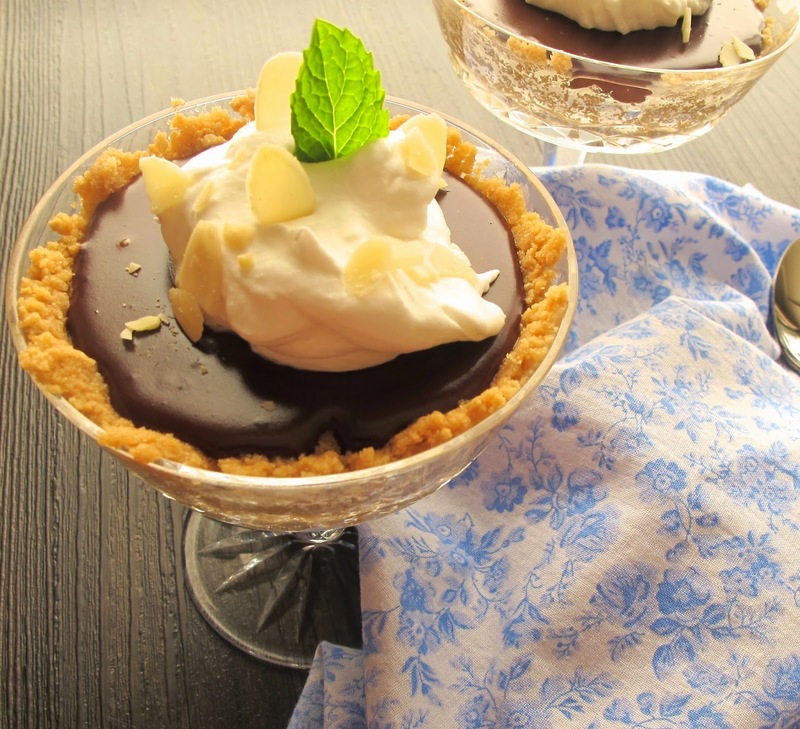 The coconut cream is spooned over top of chocolate pudding held in a graham cracker crust. But the real star of this post is the Whipped Coconut Cream. I am already planning this on top of flour less chocolate cake or fresh raspberries. Whisk all ingredient together until well combined and fluffy. Cover and refrigerate for an hour to combine flavors. Top with toasted almond slices, if desired. Combine all ingredients and mix well, spoon into cups or pie plate and press bottom and sides. In a bowl, combine chocolate chips with almond and vanilla extracts. Pour the can of coconut cream in a saucepan over medium heat and heat to boiling. Remove and add coconut cream to chocolate chips. Whisk well until combined and smooth. Pour into prepared graham cracker crust cups and refrigerate for several hours.